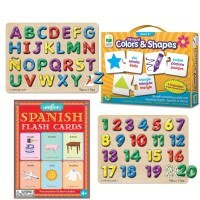 Now I know ABC... plus uppercase and lowercase letters... plus beginning sounds... plus more! 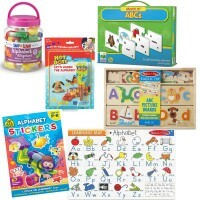 Alphabet learning fun for preschool kids! 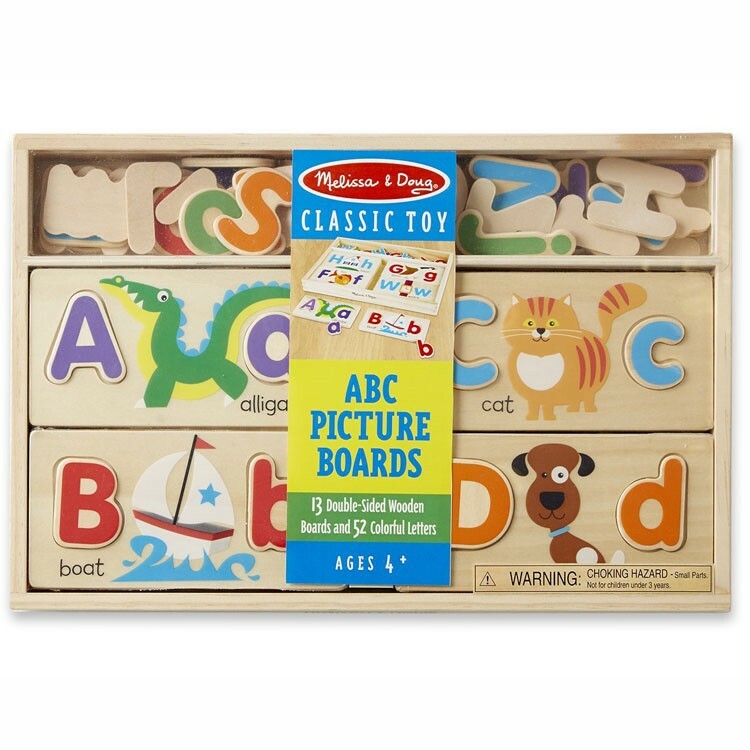 The ABC Picture Boards Wooden Letter Puzzle Set by Melissa & Doug is a great way to introduce uppercase and lowercase letters to all young children. 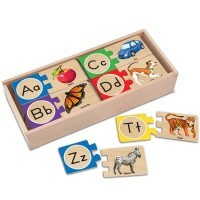 This letter learning set includes 13 double-sided letter puzzle boards that show an image of the object and animal that start with the same letter as the kids have to find. 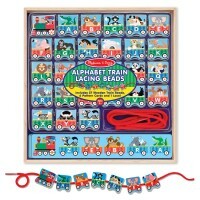 Board has a picture of a dog. 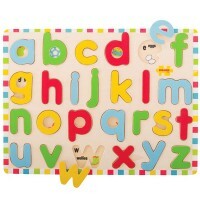 Find the uppercase and lowercase letter D! Got it right? 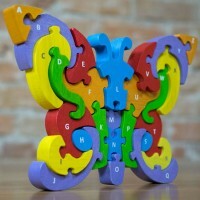 Solve another letter puzzle! 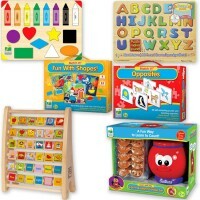 The ABC Picture Boards Wooden Letter Puzzle Set from Educational Toys Planet features 65 easy-to-grasp, durable wooden puzzle pieces with smooth edges and meets all the highest toy industry safety standards. 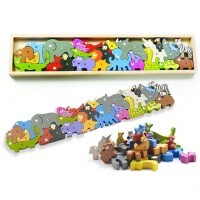 Each beautiful illustration is hand painted with bright non-toxic paints. 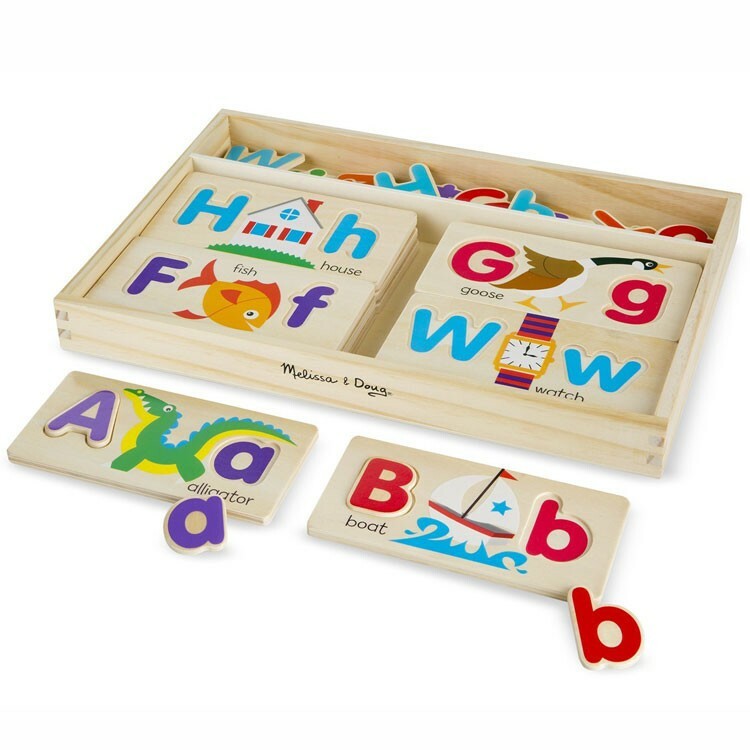 This durable Melissa & Doug alphabet teaching toy comes with the wooden storage box with the letter compartment and cards tray. 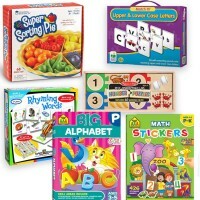 Dimensions of package 9.2" x 1.8" x 14"
Write your own review of ABC Picture Boards Wooden Letter Puzzle Set.